Atlantis are here to help. Contact us now. PCA members and approved by Trust Mark government endorsed standards for your peace of mind. Choose Atlantis for a company you can trust and rely on. Choose Atlantis for the best service and customer satisfaction. We have testimonials from a huge amount of satisfied customers from all around Cheshire. Read some here. We work within a 20 mile radius of Northwich. Take a look to see whether we cover your area. Atlantis Damp Proofing & Timber Specialists is a Cheshire based family run business that provides exceptional customer service when providing the solution to your damp or timber infestation issues. Our honest approach to the thorough assessment of your property always helps our customers to feel that the options available have been thoroughly explained and that they can have confidence that the correct diagnosis and treatment is provided. How do I know if I've got active wood worm in my house? A number of insects, mainly beetles, are able to use wood as a food source and some of them are able to cause damage to timbers n buildings. The most common infestation found in your property is the common furniture beetle, Anobium punctatum, an insect native to the British Isles and found in Hazels and other trees that are common in the UK. What are the signs of woodworm in my property’s timbers? Where there has been, or currently is, an infestation of woodworm in your property you will see the tell-tale bore holes in the wood. The important thing to remember is that these holes could be of an historical nature and there may currently be no active infestation. There are a couple of ways to identify whether your timbers have active woodworm. You could fill the exit holes with bees wax and wait for a year to see if any holes are unfilled the following year. The season for hatching Lava is March – August and this is why such a long period of observation time is needed. Another important observation is whether you can see any frass present on the timbers. This frass can be used to help identify woodworm pests even if the adult insects are no longer visible, as different species form different shaped droppings. The frass of wood-boring beetles is made up of fragments torn off but not consumed, and fragments that have passed through the insects’ gut! It resembles a fine, powdery dust and is usually found below the area of the infected wood. Frass falls out of old flight holes, when larvae bore through old larval tunnels, hence the buildup of material below the infested timber. It is not generally a result of new adult beetles emerging. Where am I most likely to see the signs of an infestation? Female furniture beetles will only lay eggs in wood where they think their larvae stand the best chance of pupating into adult insects. They tend to choose the sapwood of softwood and European hardwoods unless wood rot is present, where it may be found in heart wood as well and the attack is most severe in damp and fast growing timbers. When the larvae hatch out it takes them between two and five years to chew enough nutrients from the timber to invest enough energy to pupate into adult beetles. That’s a long time! And all the while, the timber may be drying down further, making it harder for them to feed as the timber gets drier and tougher. This also means that the resulting adult beetles will be smaller and less likely to produce offspring, so a female must choose a low risk place to lay her eggs. All timbers in your home may be affected by woodworm, and they are commonly found in subfloor voids and loft spaces where timbers can become damp. At Atlantis Damp Proofing & Timber Specialist, we take a pragmatic approach to the management of woodworm infestations. Our experienced surveyors use their knowledge to determine whether there is an active infestation. Depending on the time of year, it is not unusual for us to advise that no treatment is necessary until an observation period has passed. That way, you know you’ll only be paying for treatments that you absolutely need to protect your property. If treatment is required, we’ll take all the necessary precautions to ensure that all health and safety procedures are adhered to. We would then clean down the timbers to allow maximum penetration of the preservative which creates a pesticidal envelope. The contact insecticide hits the nervous system of the beetles as they emerge from the timber and eradicates the problem. Fortunately, this bit is simple! If you feel that your property may be under attack from wood worm and you’ve spotted some of the signs we’ve shared here, then just contact us by clicking the link below. We cover Northwich, Warrington, Crewe, Chester, South Manchester, Runcorn, Wrexham, & surrounding areas just contact us now for a no obligation quote now. Why do I need a pre purchase survey? You’re buying your dream home, you’ve agreed a price with the vendors, your mortgage lender have sent the chartered surveyor or valuer to inspect and value the property, you wait for the report with trepidation and then you are informed that you need a damp & timber survey. A damp and timber survey is pretty much what it sounds like, it is a close inspection (survey) on a property to confirm whether there is any ‘damp’ and if so what type of dampness it is. Similarly, for the structural timbers, this is to check the property’s timbers to determine whether there is any wood boring beetle infestation or rot. Most of the time a pre purchase damp and timber survey is needed following a general survey by the bank or building society chartered surveyor, he or she should be considered much like a GP at a doctors surgery, they have to have a good knowledge on a lot of things and once they identify a problem they will then refer the patient to a specialist who has a strong knowledge on their chosen subject. That’s where Atlantis Damp Proofing & Timber Specialists step up to the plate! All the above are of course subject to your instruction and requirements. The most important aspect for any survey is whether access within the property is available, surveys will always be limited by things such as dry lining, kitchen units, laminate floor coverings and carpets. In a word yes, we will make a charge, this depends on the area, the size of the property and what you want us to inspect, costs usually range between £90 – £250 + VAT, sometimes this may be more, sometimes less. We charge for the simple reason that having an experienced surveyor turning up on the door costs money! Remember that getting the right diagnosis could save you tens of thousands in the long run. Also if there isn’t a problem (i.e. an opportunity for us to quote for work) we will tell you. This is of course great for you because you’re not paying for unnecessary work but we do need to cover our costs. Fortunately, this bit is simple! If the property you want surveying is in We cover Northwich, Warrington, Crewe, Chester, South Manchester, Runcorn, Wrexham, & surrounding areas just contact us now for a no obligation quote now. Just click the link below. Condensation is by far the most common cause of dampness in buildings, probably accounting for the majority of damp problems reported. At Atlantis Damp Proofing & Timber Specialist we pride ourselves in ensuring a correct diagnosis for your damp issue. Our surveyor will thoroughly investigate the source of condensation within your property and explore the suitable method of treatment. All of the results and feedback will be provided in a full written report, along with recommendations and details of the cost. If our survey reveals that the signs of damp in your home are due to condensation, you could save a significant amount by avoiding unnecessary damp proofing treatments. What are the signs that I have a condensation issue? Condensation is directly associated with mould growth. It is this sign that you are likely to spot first, and it gives an indication of the potential scale of the problem. The mould is usually found on decorative surfaces, especially wallpapers and around window frames, where it can cause severe and permanent decorative spoiling. In many cases, the mould can also give rise to complaints about health, and cause the musty odour frequently associated with a damp house. The obvious places for condensation to occur are on cold walls and floors, but it can also occur in roof spaces and in sub-floor areas where there is a timber suspended floor. In the latter case, it can lead to dry rot or wet rot developing in floor timbers. Atlantis Damp Proofing and Timber specialists are able to provide expert condensation advice relevant to your property. It happens when the warm air comes in contact with a cold surface (outside wall), turning into water droplets on a wall or surface. Lack of ventilation and modern occupancy styles can lead to a build-up of excessive humidity and moisture. For example, drying washing inside a property, using unvented tumble dryers, not allowing kitchen and bathroom moisture a pathway to escape from, can all lead to the tell-tale signs of Condensation Developing. How can I reduce the effects of condensation? Improving ventilation, warming up the surface and minimising sources of moisture will help to alleviate the problem. We offer a range of ventilation systems, which include traditional or economical sleeved wall vents which will alleviate condensation with little or no heat loss and mechanical vents that are whisper quiet, energy efficient and low maintenance to create a healthier living atmosphere. Fortunately, this bit is simple! If the property you want surveying is in We cover Northwich, Warrington, Crewe, Chester, South Manchester, Runcorn, Wrexham, & surrounding areas just contact us now for a no obligation quote now. Just contact us by clicking the link below. What is the difference between Penetrating and Rising Damp? All properties are different which is why we offer a range of damp proofing solutions to suit different property types. There are many sources of damp in buildings, rising damp, penetrating damp and condensation are the main types. It is important to get a reliable and properly trained surveyor to check out the problem fully before arriving at any conclusions. Penetrating damp can be from driving rain, leaking gutters, defective adjoining roof coverings, defective seals to windows doors etc. Rising damp is where dampness from the ground travels up the wall by a capillary action and there is either a defective, failed or no damp proof course installed to stop the progress of the moisture. An inexperienced or untrained surveyor may mistake condensation or penetrating damp or rising damp and recommend a course of action which will be unnecessarily disruptive and possibly expensive, worst of all it is also probably not required and will simply disguise the true cause of the problem. What are the symptoms of different Damps? The Damp Proof Course (DPC) is a barrier built into floors and walls to stop moisture rising through the house from the ground. Rising damp occurs if there is a problem with the damp proof course or if the DPC is non-existent. There are ways of distinguishing the first visible signs of rising damp. Look for obvious staining low down on wall or salt crystals appearing. You may see a ‘tide mark’ on the walls that show how high it has risen and it is unlikely to be above 1.5 meters from the ground. There may also be a musty smell. It’s also worth checking outside to see if the DPC is obviously bridged, for example by a driveway or decking as any DPC should be 150mm above external solid floor levels to be effective and reduce rain splash above the DPC line. Penetrating damp sign are caused by problems in the property when water is coming in through the walls or roof and can be at any height on the wall. Our fully trained surveyor will assess to identify the likely cause of the problem. Have you got a gutter leaking, downpipes leaking, a loose tile, missing mortar? Or does your property have exposed areas prone to being buffeted by the wind where rain might drive into bricks allowing face of bricks to break down and become more porous? Another problem you have to rule out is condensation which probably affects more properties than rising and penetrating damp put together this occurs mainly in the cooler months. machine or dishwashers. Small leaks are often the cause of major repairs if left and not repaired. Fortunately, this bit is simple! If the property you want surveying is in Northwich, Warrington, Crewe, Chester, South Manchester, Runcorn, Wrexham, & surrounding areas just contact us now for a no obligation quote now by clicking the link below. How should I treat penetrating damp? Penetrating damp is much more common in older properties that are of single brick construction, rather than newer properties that enjoy a cavity wall construction. However, Penetrating Damp can still occur in cavity wall properties due to incorrectly installed cavity wall insulation, debris build up within the cavity and even cavity wall ties can provide a passage for moisture to ingress into your Property. Aged bricks and mortar which become more porous and struggle to keep out wind-driven rain. At Atlantis Damp Proofing & Timber Specialists we use our experience and the tools available to us to allow us to be confident in our diagnosis of whether treatment for penetrating damp, rising damp or condensation. It is important to correctly identify the correct type of Damp that is causing the problems in your property to ensure that the correct method of treatment is applied. Can you be 100% sure it’s penetrating damp? Should it be required we are able to confirm our findings, by what is regarded as destructive testing, which would involve the removal of wall and plaster samples for laboratory analysis off site. The analysis will prove whether rising or penetrating damp is occurring. Naturally this would cause unavoidable damage to decorations and a charge would have to be made for this type of evaluation due to the time and work involved. It is important to remember that penetrating damp symptoms are often observed when there are one or more building defects. Atlantis Damp Proofing & Timber Specialists will complete a survey to identify the root cause of your Properties problem and we often recommend that guttering is replaced or a chimney is capped off and a drying time period be able to lapse before we visit a property to ascertain whether further damp treatment is required. It is this honesty that allows us to enjoy a high level of referrals and recommendations from are many happy customers. Fortunately, this bit is simple! If your problem property is in Northwich, Warrington, Crewe, Chester, South Manchester, Runcorn, Wrexham, & surrounding areas just contact us now for a no obligation quote now. Just contact us by clicking the link below. Why use Atlantis Damp Proofing & Timber Specialists? We are a family owned business who prides themselves on gaining referrals and repeat business in our local community. We are passionate about offering a truly trustworthy and reliable service. If we think a job does NOT need doing then we’ll tell you! 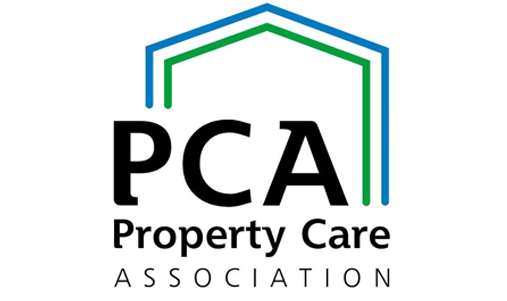 We are also members of the Property Care Association and we are vetted on a regular basis. We carry Professional Indemnity & Public Liability insurance. Our work comes with Long Term guarantees, that can be insurance backed if you so wish. Simply contact us with your query! If the property you want surveying is in Northwich, Warrington, Crewe, Chester, South Manchester, Runcorn, Wrexham, & surrounding areas just contact us now for a no obligation quote now. Just click the link below. See some of the jobs we have completed and look at some before/after pictures. Get in touch to arrange a survey, quote or just to discuss any issues you may have.